THE SMALLEST SHOW ON EARTH to tour the UK this year. 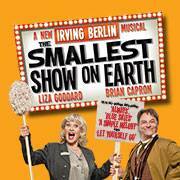 THE SMALLEST SHOW ON EARTH, billed as "a new Irving Berlin musical," will tour the UK from September of this year. 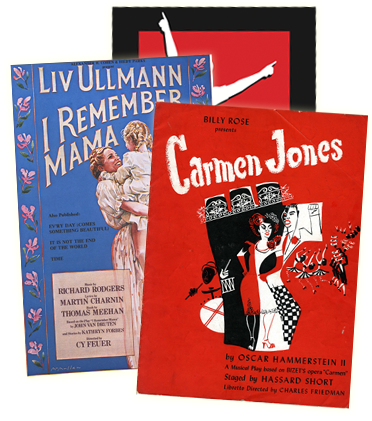 Directed by Thom Southerland (Annie Get Your Gun, Call Me Madam, Me and Juliet, State Fair), THE SMALLEST SHOW ON EARTH features a book by Southerland and Paul Alexander, based on the Studio Canal 1957 British Lion Film, with an all Irving Berlin score. Complementing the story, about a young couple who inherit a dilapidated cinema in a small English village, is a Berlin score comprised of standards ("Shakin' the Blues Away," "Blue Skies," "Let Yourself Go") as well as some rediscovered gems. The UK tour of THE SMALLEST SHOW ON EARTH will begin performances on Friday 25 September at the Mercury Theatre, Colchester, before playing Coventry, High Wycombe, Glasgow, Plymouth, Crewe, Swansea and Malvern. The cast features Liza Goddard, Brian Capron, Haydn Oakley and Laura Pitt-Pulford.